The 0W-40 is track approved and is chemically compatible with the cats, which the 10W-50 is not. Also saves us track guys from changing out the oil after a track day. Most volume dealers will have the new oil. Thank you. I'm just a cruise around guy in my convertible and will never track my car. They had it in stock, presumably because they sell and service 2019s. How ironic...After listening to my service tech say that they use the oil that is noted on the oil filler cap and me having to persistently tell him that is not the oil that I wanted used, I order the exact same cap for my Z06. It came in the mail today. white_out and Mack like this. 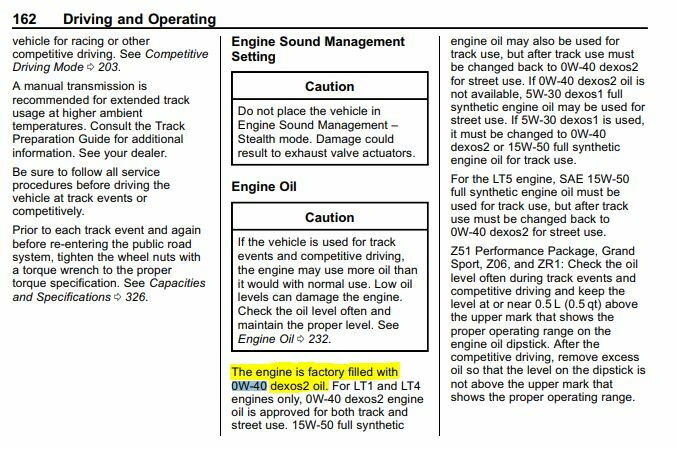 I had a 0W-40 oil cap on my Z06 when I took it to the local dealership for an oil change. According to the receipt I was given they used the 0W-40 oil that I directed to be used. They charged $9.30/quart for the oil (GM 19353135) but somehow the oil filler cap had magically morphed into a 5W-30 oil cap when the car was returned. My fault for not checking immediately and it was over three weeks before I noticed the substitution. I'll still go to that dealership but both I and the service writer will agree that the 0W-40 cap is on the car when the car goes in for service and when the service is completed. A new 0W-40 oil cap costs $38 and I'd rather not buy another one. 2016 Corvette Admiral Blue Z06 Coupe, A8, 3LZ, with Twilight Blue interior and the installation of a Callaway SC757 Supercharger Package. Gentleben, I believe the 0-40 oil cap I purchased off Amazon was $13 and is a genuine GM part. I'm sure that you are correct but the cap (GM 12680708) that I purchased was the one recommended by Harlan Charles, who is the Corvette Product Marketing Manager. Unfortunately, the cap was supposed to be delivered today but the USPS says that it cannot be delivered due to an incomplete address. I will not name the supplier at this time as I will give them another (and final) chance on Monday to correct the error and send me a new cap while the original one is being returned to them via the selfsame USPS system. Thanks for the heads up CATOYZ and welcome to our forum. 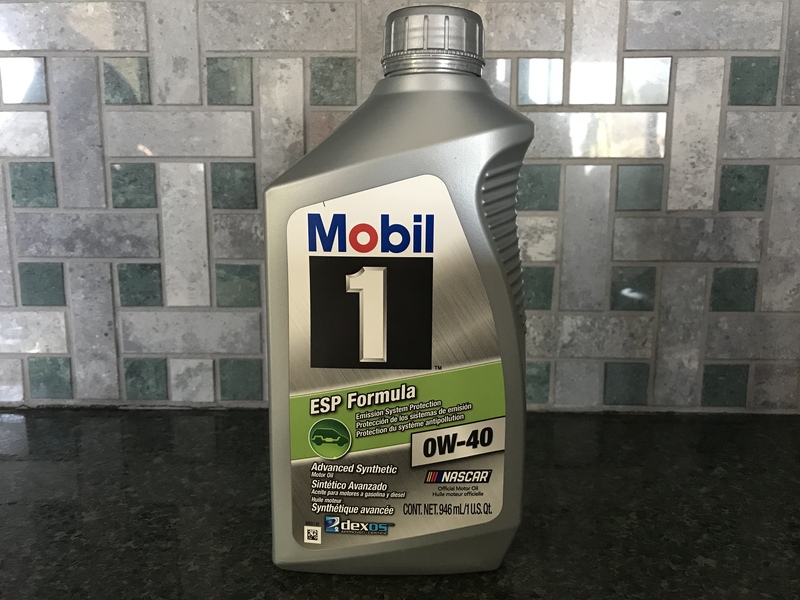 Sorry to tell you this, but the Mobil 1 0W40 motor oil on the Costco website is NOT the Mobil 1 0W40 formulated for your Corvette. It is the European blend designed for use in European brands only. 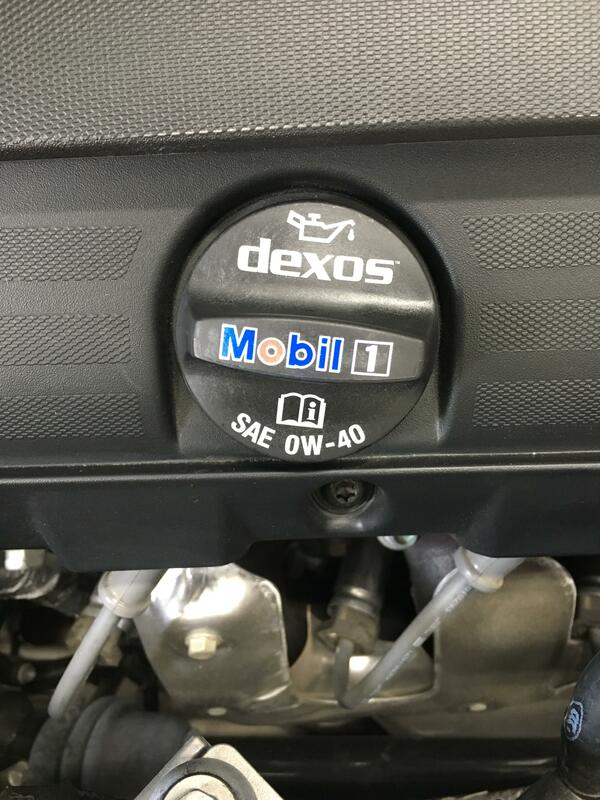 The Mobil 1 0W40 designed for the Corvette is ESP 0W40 and has Dexos on the label. I have attached a photo of the label on a quart for reference. DO NOT use the European blend in your Corvette. It is not Dexos 2 certified and doesn’t have the same temperature rating as the ESP 0W40. Could someone post a link or item number for the cap from Amazon? Thanks! Is this thing getting better or am I? Both? Dealer says they used Mobil1...is this Mobil1?